Vatos80 airbrush studio is a specialist when it comes to automotive enthusiasts (cars, trucks, 4x4’s, scooters, choppers, super bikes etc.) who seek individualization. 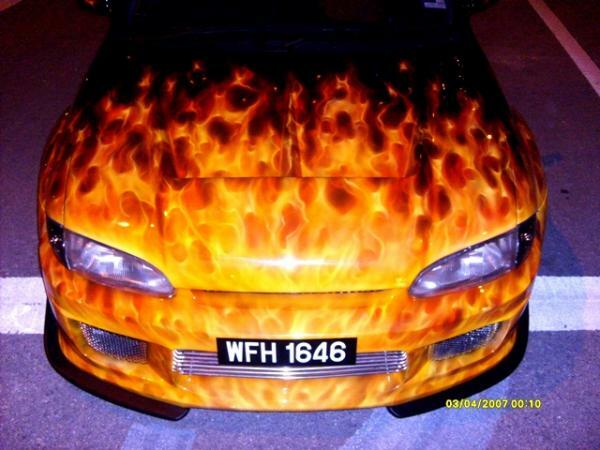 Killer airbrush artworks are an innovative method of paint application that becomes a craze in Malaysia due to the influence of Hollywood’s The Fast and Furious movies. It is the ‘In’ thing to be zipping around town with killer graphics or awesome wild graphics to be airbrushed on one’s vehicle. Vatos80 airbrush studio provides door-to-door services. We also accept airbrush job for Pc cases, murals, refrigerators, laptops, temporary tattoos, and on anything that the customers want! 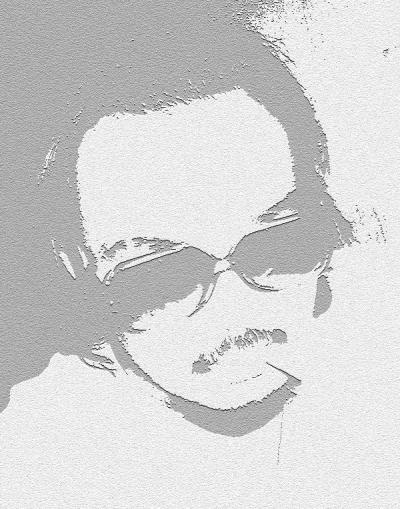 : Amir Hakim Marwilis a.k.a Vatos80 is well trained and have a lot of experience in handling airbrush artworks on cars, murals, choppers, super bikes and on anything that sit stills. He has 6 years of experience in airbrushing. Grow-up in Shah Alam, Selangor. Learned mad freehand airbrush skills from an airbrush master from Australia, Mr. Wayne Harrison. : Detailed artwork is a must for him. Customer satisfaction is his priority. : Wide range of airbrush artwork can be choose from like wild graphics, race graphics, skulls, cute stuff , metal effects, water droplets, the world most famous “TRUEFIRE DESIGNS" and lots more. : Specialist in TRUEFIRE ARTWORK, CHEMICAL BLUEFIRE, BABY PINKFIRE, TOXIC GREENFIRE and MYSTIC PURPLEFIRE. : Airbrush Graphics for cars, scooters, super bikes, choppers, PCs, laptops, fridges, gifts or murals for offices, waiting lounges, hotel lobbies, clinics, kindergartens, clubs, baby room, cafes and the list go on. : Check out the Galleries section. : He uses ANEST IWATA HPC Plus for airbrushing. Anest Iwata mini Spraygun for spraying small parts like helmets, scooter cover sets etc. He uses ANEST IWATA LPH Series for spraying base coats, top coats and finishing. : He uses 2k paint brands like Glassurit, House of Kolor Candies (for airbrush artwork like TRUE FIRE artwork), Dupont, and Miluz to do all the airbrush artwork. This is to make sure that the artworks or paintjobs turn out perfect. : Glassurit is the brand that every paint shops or airbrush artist can’t deny the best looking 2K clear coat to protect and make any paintjobs or airbrush artwork to look really glossy and pop out. 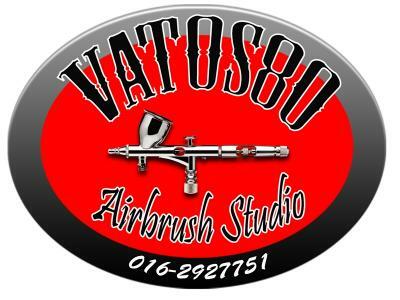 : Vatos80 Airbrush Studio sells Anest Iwata airbrushes and paint guns. : Vatos80 Airbrush Studio is also selling Dupont, Mercury, House of Kolor Candies and Miluz (2k premix paints and 2k paint tinters). 9 basic colors (1 Liter per color premix) for Airbrush Artist also available. : Check out the Stuff for Sale section. : He airbrushed a lot of commercial vehicles such as RED104.9fm, 98.8fm, HOT.fm, FLY.fm, ERA.fm, Securicor, 8TV, AirAsia, Dr.Fazley (Singer, actor) Deanna Yusoff Spidey X1R Full-face Helmet, Custom O.C.C (American Chopper) for Road King INC. Custom Chopper for TITAN RACING, Antera Motorsports, Outlawz INC, ArtEvo, Impreza Sony X-Plod, Astro RIA Mobilku and many more. : He’s artwork on some custom modified cars, scooters and choppers had won several awards from 2002-2007 and he is continuing making award winning artwork. : Check out the Award Winner section. : Digital artwork for customer to see before we proceed to the real thing also provided using Adobe Photoshop. : Check out the Promo Designs section. : Reasonable price for airbrush artworks. : Vatos80 Airbrush Studio is now offering airbrushing crash course to anyone from all around the world. 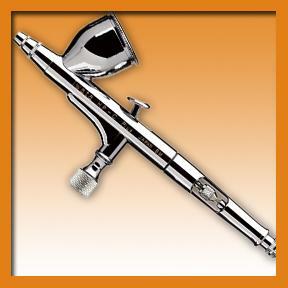 : Check out the Airbrush Class section.